A super-secret organization recruits an unrefined but promising street kid into the agency’s ultra-competitive training program just as a dire global threat emerges from a twisted tech genius. 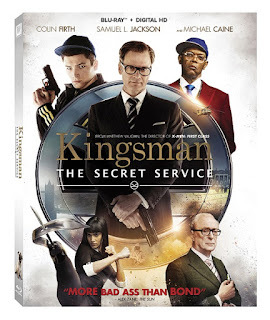 A phenomenal cast, including ACADEMY AWARD® Winners Colin Firth and Michael Caine* and OSCAR® Nominee Samuel L. Jackson**, leads this action-packed spy-thriller directed by Matthew Vaughn (X-Men: First Class). The KINGSMAN: THE SECRET SERVICE Blu-ray™ has a full arsenal of bloody good added materials that bring the world of the Kingsman to life. Not only can you see a gorgeous gallery of behind the scenes images from the film’s production, but the Kingsman: The Secret Service Revealed documentary also gives you an exclusive 90-Minute look into the film’s iconic style, fights, gadgets and more. I wanted to see this movie when it was in theaters but unfortunately I didn't get the chance to so I couldn't wait to get the Bluray. My husband and I watched this last night and we both very much enjoyed it. It is very well done. We had a few laughs and it is action packed. It is a little messed up and there is lots fighting and blood but it is a very good movie if you are into this kind of movie, which we are. 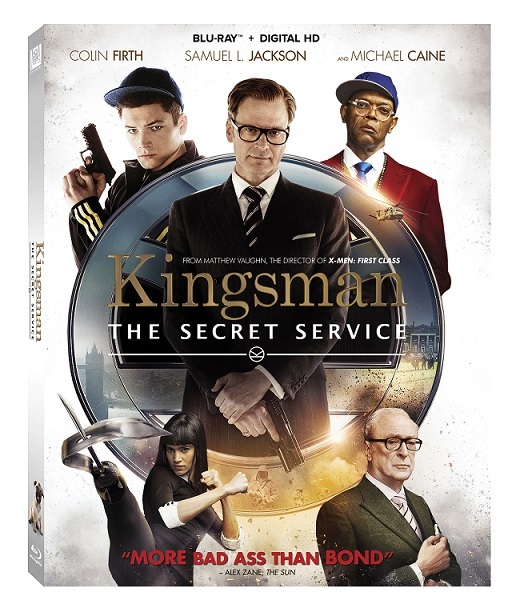 You can now purchase Kingsman: The Secret Service in stores near you.